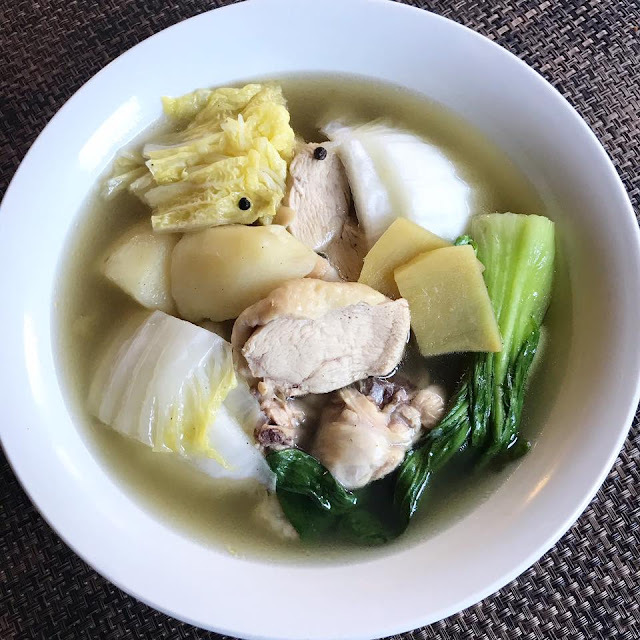 Tinolang Isda is a quick and easy Filipino fish stew dish. 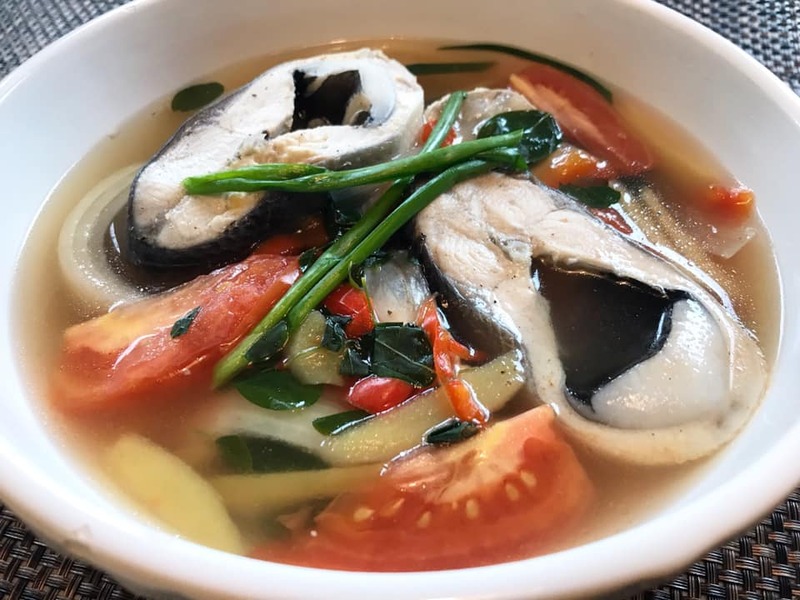 This Tinolang Bangus na Isda is stewed in ginger, lemongrass, tomatoes, bell pepper and malunggay leaves. This recipe is not only easy to make but also affordable and delicious. Tinolang Isda in ginger and lemongrass broth is a healthy fish stew dish and no cooking oil needed. 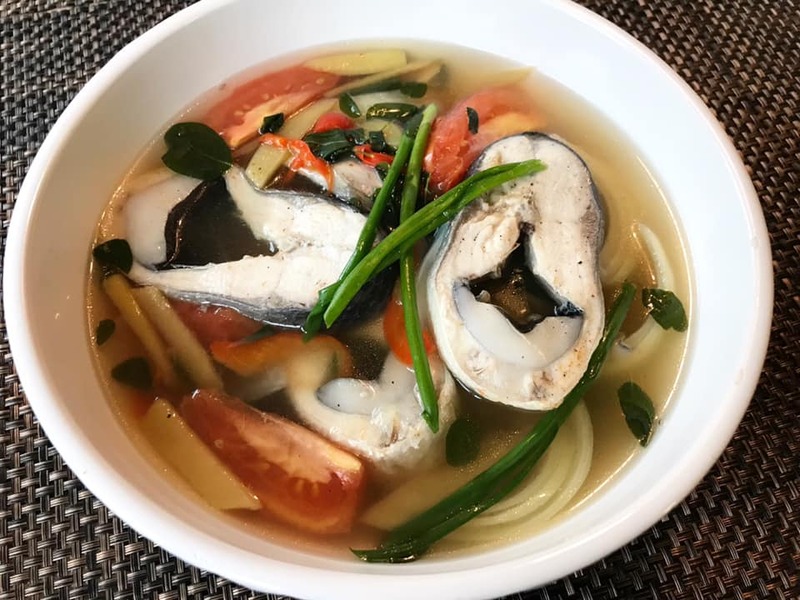 This Tinolang Bangus na Isda is an alternative to Chicken Tinola. Add more vegetables to this dish like sayote and pepper leaves. 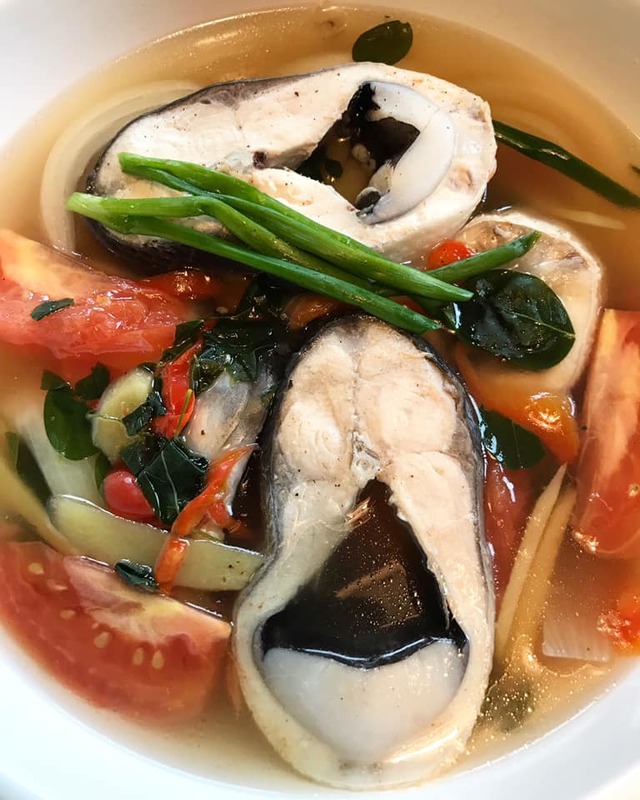 This delicious fish soup is light in taste and very aromatic. Imagine the flavors of lemongrass, ginger and bell pepper all in one. 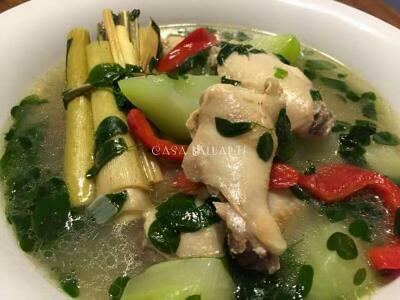 Give this Tinolang Isda dish a try and share with family and friends. I think, this is one of the most healthiest Filipino food I could think of. 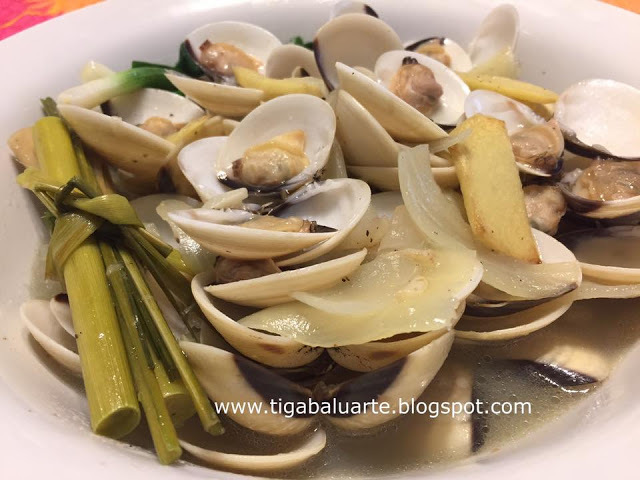 Tinolang Isda is also known as Tinowang Isda. Check related recipes below by clicking on the name link below the picture to see complete recipe. Boil water in a medium pot over medium heat. Once water starts to boil, add lemongrass and ginger. Continue to boil for 3 minutes. Add bell pepper, tomatoes and onion to the pot. Continue to boil for 5 minutes. Add slices of fish to the pot. Cover and cook for 10 minutes or until fish is fully cooked. Season with fish sauce and ground pepper. Taste to see if salt is needed. Add malunggay leaves and green onions. Stir gently and cook for 2 minutes. Remove pot from heat, transfer in a serving bowl and serve hot with rice. Enjoy! (click on name link below the picture to see complete recipe(s).